The only listed change to the new software, identified as build 14D105g, is the removal of a warning about installing on the new MacBook Pros with Force Touch. The last beta, which became available last Thursday, introduced Force Touch support for third-party developers. And in a somewhat serious bug, Apple said that build should not be installed on the new MacBook Pro models —the very computers developers would need to test Force Touch support. Monday's latest build removes that warning, suggesting that the fourth beta of OS X 10.10.3 is OK to install on the new 13-inch MacBook Pro, as well as the newly updated MacBook Air models which do not have Force Touch trackpads. Force click. Apps can have any button, control, or region on the screen respond to a press of stronger pressure. This Force click can provide a shortcut to additional functionality within the app. Accelerators. 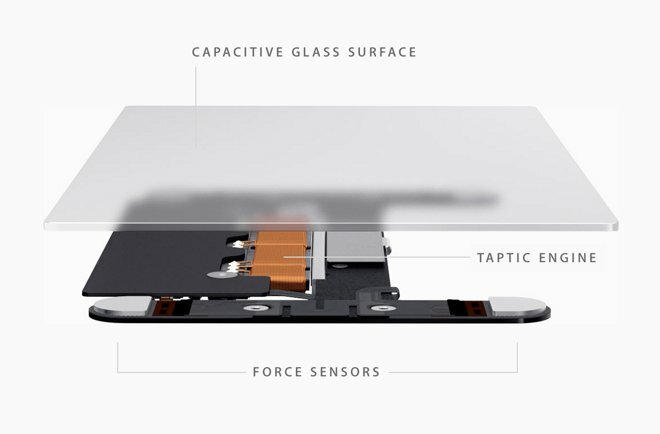 Pressure sensitivity in the trackpad enables apps to give users greater control. For instance the fast-forward button in media playback can speed up as pressure increases. Pressure sensitivity. Drawing and other creative apps can take advantage of the pressure-sensing capabilities of the trackpad to make lines thicker or give the brush a changing style. Drag and Drop. Apps can add the springLoaded property to their controls so they can react to a Force click gesture while in the middle of performing a drag, for instance to immediately open a new target for the drop.